Medical Marijuana Dispensaries Open In D.C. There was no celebratory grand opening, no balloons or customers lining up on the sidewalk. But there were also no police officers waiting to make arrests as customers walked out of Washington’s first operational medical marijuana dispensary with product in hand. Fifteen years after D.C. passed a referendum by an overwhelming majority to legalize pot for medical use, the program is finally off and running. Capital Care, first dispensary to participate in the program, is located just a mile from the United States Capital building where federal lawmakers spent the last decade and a half attempting to block this day from becoming a reality. The dispensary is also located steps away from the ATF headquarters, and other federal law enforcement agencies that are still empowered by federal laws, which have no mention of legalized pot for any purpose. Thus D.C. has become the latest jurisdiction to step into the common dilemma of local versus federal law with respect to marijuana legalization. While D.C. city cops are now prohibited from arresting or citing anyone with a pot prescription for possession of the plant, federal law enforcement officers are under no obligation to honor the city’s medical use law. This issue also exists in 19 states throughout the country that have instituted medical marijuana laws, and 2 that have decriminalized personal possession regardless of a medical need. This list includes Maryland, which has passed its own medical use law but will wait until 2016 to implement the program. Originally Governor O’Malley declined to sign Maryland’s medical use bill over concerns that state employees could be prosecuted federally for instituting the program. There still has been no definitive statement from the federal government that this concern is unwarranted, but the governor signed on the dotted line nonetheless. The federal government has not made a definitive statement on any state’s medical or personal use marijuana policies, and the Obama administration has been especially tight lipped on its stance. Even when Washington State and Colorado legalized pot for personal use this past year there was absolutely no reaction of consequence from the feds. Washington’s medical marijuana program is still in its infancy stage to say the least, as currently there are only 9 people in the entire city that have valid pot prescriptions. The reasons for the low number could be best attributed to two factors. For one, the city law is strict, and requires that anyone seeking a prescription must have a serious or terminal illness such as HIV, AIDS, cancer, glaucoma or muscle spasms. 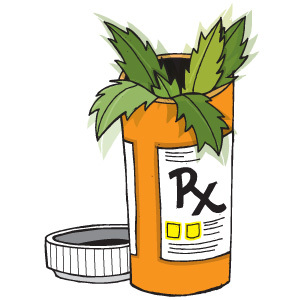 The other reason could be attributed to the fact that doctors are still hesitant to prescribe marijuana because it is illegal under federal law and the two surrounding states, Maryland and Virginia, still do not have active medical use programs. The 3 licensed D.C. dispensaries are hoping this changes, as each has invested large sums of money on their dispensaries and cultivation facilities. Capital City Care for example currently has more employees than patients, and has installed complex and expensive security measures such as fingerprint identification machines. Time will tell whether the investments of these 3 businesses will pay off, but now that the program is underway we could see the number of pot prescriptions rise exponentially over in D.C.
Benjamin Herbst is a marijuana lawyer serving all jurisdictions in Maryland. 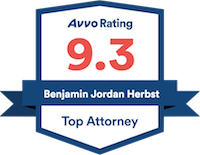 Contact Benjamin today for information about a CDS possession, distribution, or trafficking charge.